Gifting culinary treats to the foodie in your life is like the gift that keeps on giving. It never fails that new cookbooks and kitchen gadgets beckon foodies to the kitchen looking for an excuse to put them to good use. Which means more delicious eats for the gift giver! 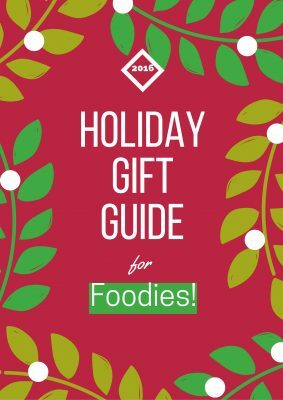 If you’re looking for gifts for the foodie in your life, or just hoping that the right purchase will inspire delicious smells to waft your way, check these out. Retail Value $9.95 per serving. Choose from serving sizes of 2, 4, or 6. If you need a unique gift that your loved ones will really appreciate, it is the Home Chef. This convenient meal system will deliver all the ingredients needed for a delicious and easy to make dinner. With busy schedules it is often easier to grab fast food than rather than think of a meal, run to the store (to get what you inevitably don’t have at home), bring it back and cook. Home Chef understands! There are no subscriptions locking you in. You just pick what you want and order. Each week you will have ten dinners, new breakfasts, a fruit basket, and a smoothie to choose from to accommodate your dietary needs. Place your order, and it is shipped to your house. All the items needed and a helpful recipe card arrive right on your doorstep. Home Chef work with meticulously picked vendors to insure customers only receive the best of the best. The pre-measured portions also mean less waste when you cook. It is really a great option to give to family and friends as well as order for yourself. The recipes are delicious, healthy, and easy to make. There’s just something about opening a bottle of wine. A universal signal that it’s time to relax, unwind and hopefully ingest a delicious meal to accompany your beverage. 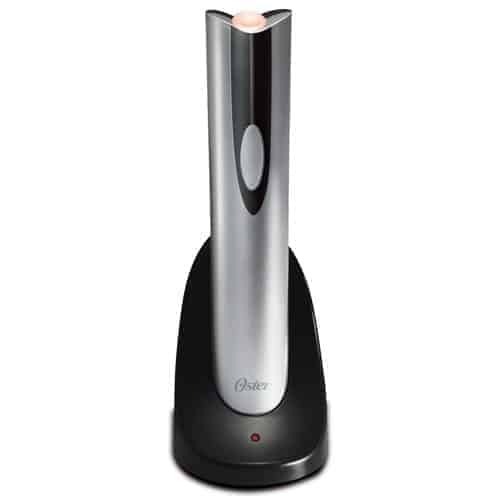 Designed to fit all traditional wine bottles, the Oster electric wine bottle opener offers the same portable, cordless convenience as other wine bottle openers, but with the added benefit of looking like you paid more for it than you did, effortless performance and it opens a bottle in seconds. Bonus? It even cuts the foil! The holiday season is quickly approaching, and we both know that no celebration is complete without delicious food! The MagicalButter Machine is an easy way to take all your favorite foods thru the holidays (and all year long) to the next level. I want to share an easy way to make all of your favorite holiday foods this year whether it’s Eggnog, Soup, or classic side dishes. The MagicalButter Machine is designed to infuse the essence of healthy herbs into butter, oil, grain alcohol, lotions, and more! The recipes you can make with MagicalButter are nearly endless and the machine is self-cleaning (kitchen appliance goals, Amiright?). Who says cute can’t be functional? 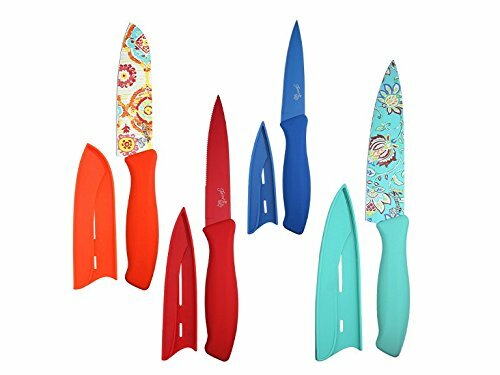 This adorable knife set includes coordinating sheaths and one of each: 6″ Jacobean decal chef knife, 5″ Scarlet utility knife, 5″ Ava santoku knife & 3.5″ Lapis paring knife. They’re all stainless steel with FDA-approved, non-stick, food safe decals and ergonomic santoprene handles. Now you can garden year-round no matter the climate. Grow fresh herbs, vegetables, salad greens, flowers and more in this smart countertop garden. 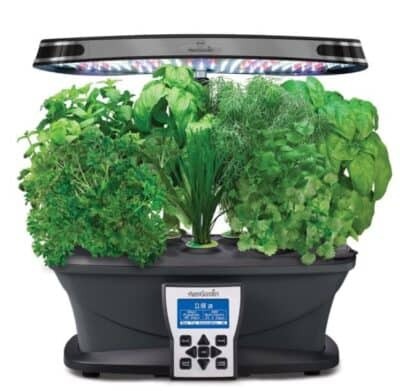 With the AeroGarden you can grow up to 7 plants at a time and plants grow in water, not soil. It’s advanced hydroponics made simple! Even those with a less than stellar green thumb can work with an AeroGarden. The interactive LCD screen control panel tells you when to add water, reminds you when to add patented nutrients, and automatically turns lights on and off. It even provides timely tips and on-screen help functions. The garden includes everything to get you started including a 7-Pod Gourmet Herb Seed Kit that contains: Genovese Basil, Thai Basil, Thyme, Mint, Curly Parsley, Chives and Dill & 3 oz. patented nutrients (enough for a full season of growth). This holiday, give the gift of growing! Indoor gardening just got a lot more chic and eco-friendly too! Fill windowsills with fresh herbs and veggies with Back To The Roots gardening gift sets. 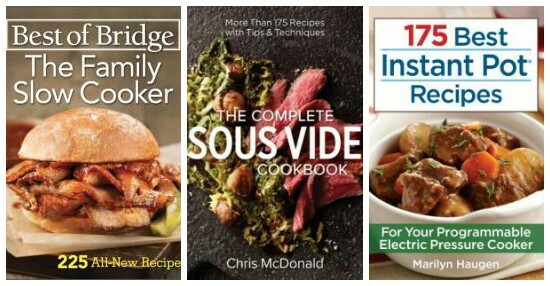 They’re perfect for the modern mom, foodie & chef! Plus, when you order a gift set it comes with a bonus: 4 Hand Lettered Prints and a Homegrown Recipe Cookbook! Use promo code SurfandSunshine10 and save 10% on your order thru 1/31/17. I received an Instant Pot for Christmas last year and it’s been my dinnertime savior all year long. This 7-in-1 Multi-Functional Cooker is a Pressure Cooker, Slow Cooker, Rice Cooker, Saute/Browning, Yogurt Maker, Steamer & Warmer. It’s the king of getting me out of those “It’s 5 o’clock and I haven’t even thought about dinner yet” jams. With 14 Micro-Processor controlled programs you can cook just about anything: Soup, Meat/Stew, Bean/Chili, Poultry, Sauté, Steam, Rice, Porridge, Multigrain, Slow Cook, Keep-Warm, Yogurt, Pasteurize and Fermented Rice (Jiu Niang) Cooking with the high pressure reduces cooking time by up to 70% and the low pressure avoids overcooking delicate food. Not only is it easy to use, it’s easy to clean too! Now you can be faster than even a master chef. 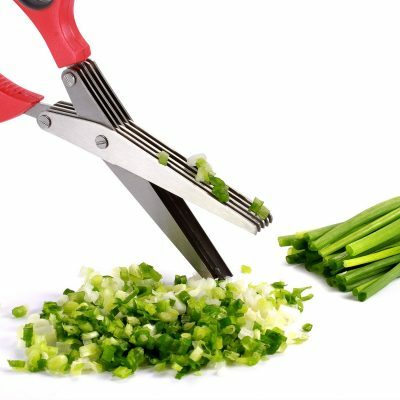 The stainless steel blades of these herb scissors snip herbs and spices 5 times faster than any standard pair of shears. They clean up just as easily by popping them in the dishwasher or giving them with a long finger cleaning brush. Formed in 1975 by 8 women, Best of Bridge is back with an all-new book and an all-new group of Ladies! Whether you’re looking for a hearty stew or a gooey, cheesy dip that will stay warm throughout your party, simply call your slow cooker and these recipes into service. It’s like the gift that keeps giving all year long! Includes historical and geographic origins of chiles, 10 regional profiles on pepper growing (who knew they grew in England? ), info on the Scoville scale, the health benefits of chiles + 250 delicious and inventive recipes using sweet, zesty and fiery chiles. Sous Vide cooking is the latest and hottest trend in home kitchens today and home cooks are embracing it in record numbers. What technique have restaurants been using for more than 30 years to get perfectly cooked food? Their secret: sous vide, a simple and foolproof technique that involves cooking at precise temperatures. This cookbook features more than 175 recipes from different parts of the world and a wealth of knowledge about global ingredients, DIY butchery, food substitutions, selecting cuts of meat and types of fish, and much more. Fantastic fried taste and texture with less oil – an air fryer can brown foods with up to 80% less fat – this is the definitive book for air frying. From Classic French Fries and Beer-Battered Fried Fish to Buttermilk Fried Chicken, you’ll get all the fantastic flavor without the fat. There are also recipes for Old-Fashioned Cake Donuts, Coconut Shrimp and even desserts like Chocolate Hazelnut Fudge Cake and Bananas Foster. 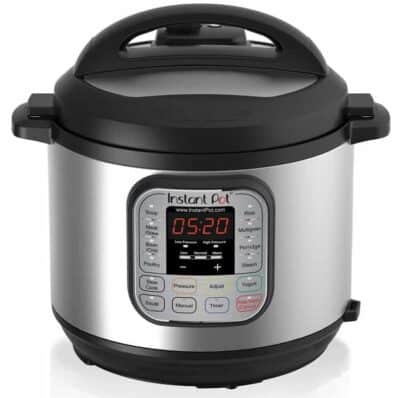 Millions of Instant Pots have been sold, and they continue to be one of the hottest small appliances in the category – this is the ideal appliance for everyone from students or busy moms, to condo dwellers to RV enthusiasts. If I said full flavor and zero guilt most foodies would scoff. The two items don’t usually go hand in hand right? But with Air Fryers you can fry, bake, grill and roast while using 70% less oil than conventional fryers. Most foods only require a tablespoon or less of oil including chicken, burger, fish, fries and more. 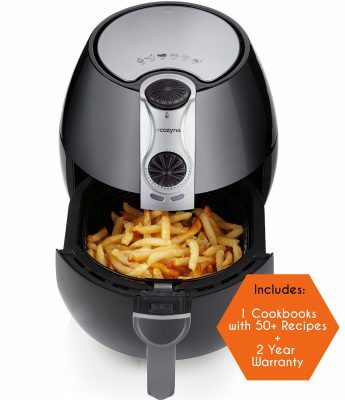 The Air Fryer by Cozyna has dishwasher safe parts for easy clean up too. 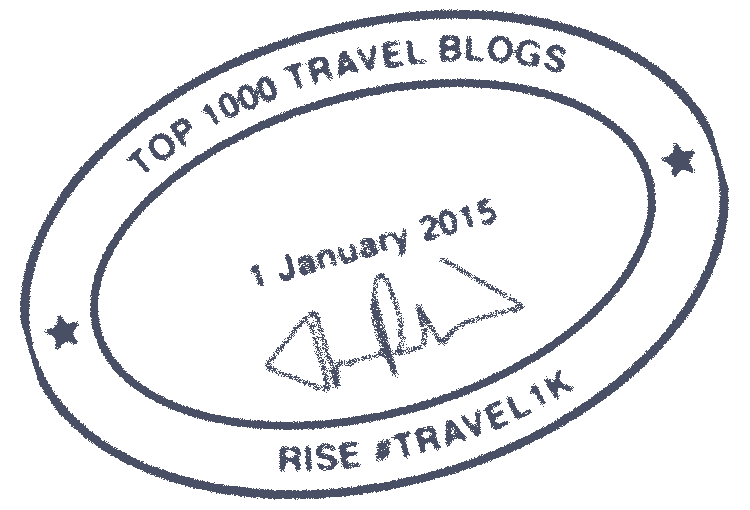 Surf and Sunshine has received some of the products on this list for the purpose of sharing with you. All opinions remain our own.